2012 year of the Dragon. This mythological creature has been present in many cultures as a symbol of power, wisdom and pride. Many types of dragons have been described in ancient legends. Fire-breathign dragons, flying dragons and even worm-like dragons. Although many cultures have stories and legends about the dragon, none of them equal the devotion given in the Chinese culture. The Dragon is essential in Chinese tradition and it is according to the Chinese horoscope that 2012 is the year of the dragon. All born in this year will be given the character and determination of this universally admired beast. This is why ST Dupont decided to launch a limited edition Dragon series, including fountain pen, rollerball pen and lighter in 2012. All three items come in a premium version (888 pieces), a prestige version (88 pieces) and diamond version (8 pieces). 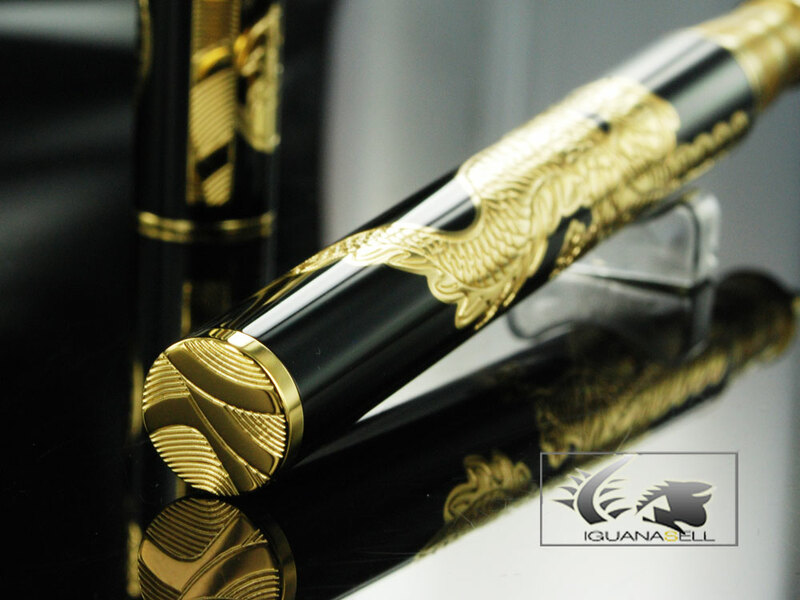 The ST Dupont Premium Dragon Fountain Pen is a beautiful writing instrument finished in Chinese lacquer and gold. Along the body and cap of the pen a Chinese fire-breathing dragon twists and turns. 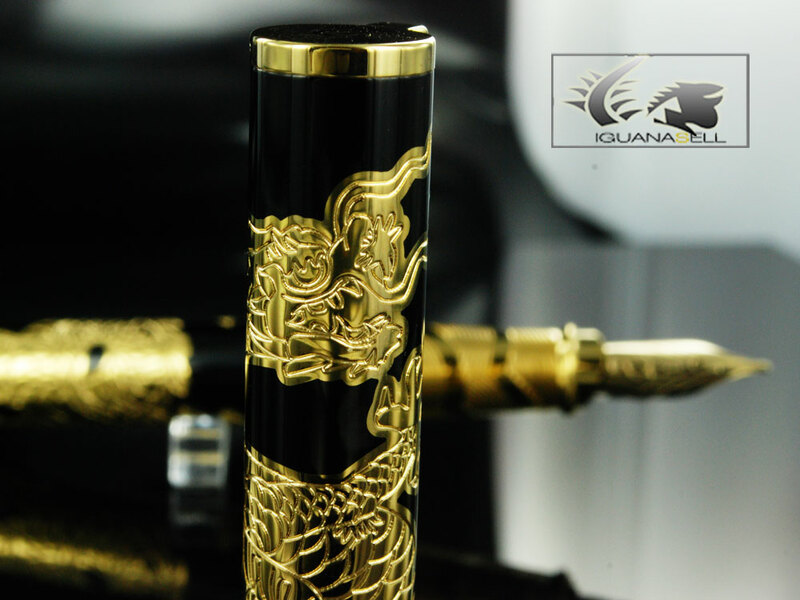 The dragon is totally gold plated and lies on a background of black Chinese lacquer. 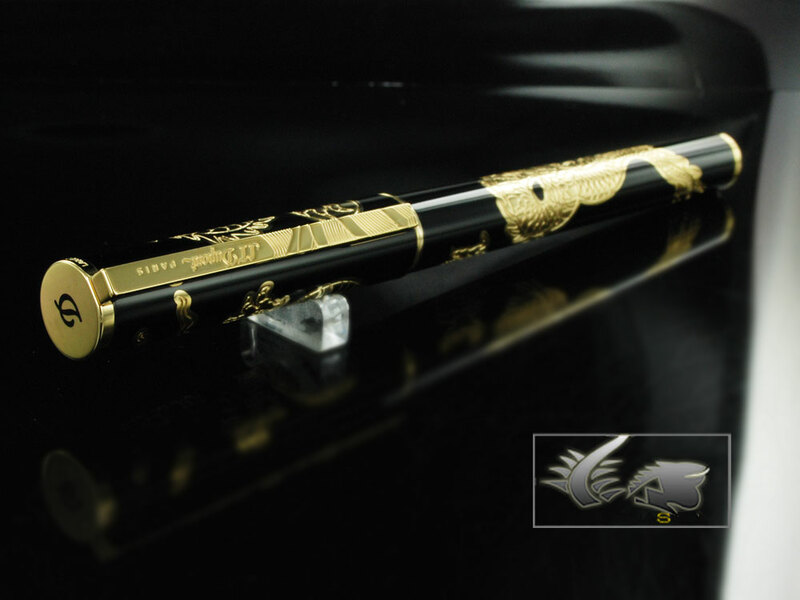 The grip section and clip are designed with a wavy Chinese style pattern. 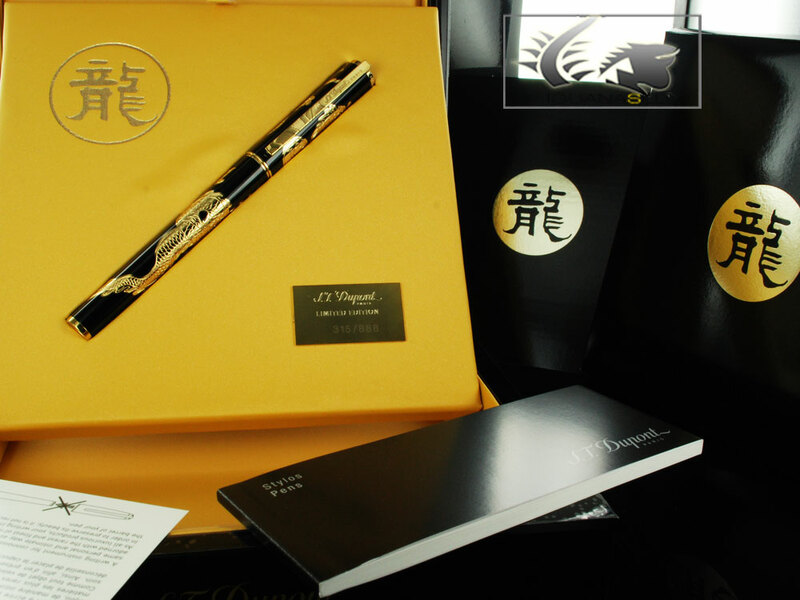 The pen comes in a fine black wooden presentation box with Chinese character. A truly wonderful pen!